Since 2002, Global Finance has honored the best trade finance banks by region and by country based on a number of criteria, including technological innovation, transaction volumes, global coverage, customer service and pricing. In that time, the market has been transformed as supply chains have become vastly more complex and worries about minimizing global risks have become paramount. Notwithstanding this challenging environment, Citi has taken the regional award for the Americas every year since these awards began. In Asia, HSBC has also dominated, winning the regional award seven times, as has UniCredit in Central and Eastern Europe. In Western Europe, the honors have been split between the two top banks. ABN Amro won the regional award for six years straight, but from 2008 to 2011, BNP Paribas prevailed. 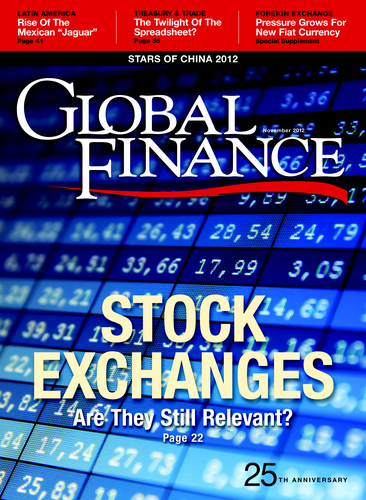 Global Finance now gives awards to the best trade finance banks in 66 different countries, up from 33 in 2002. In the intervening years, the banks that have consistently distinguished themselves are those that have benefited from market consolidation and managed to offer a physical presence in individual counties that is linked to a compelling global trade finance platform. HSBC has picked up the most country awards in that time, with a total of 18, closely followed by BNP Paribas with 17 and Nordea with 16.